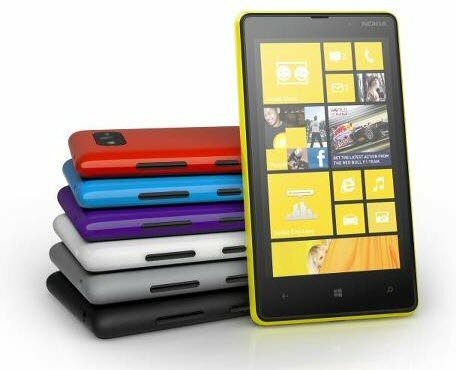 After unveiling its new flagship smartphone, the Nokia Lumia 920 at a press event earlier today, Nokia turned its attention to its sibling, the Nokia Lumia 820, successor to the Nokia Lumia 800. Also running on the Windows Phone 8 OS, the Lumia 820 sports a 4.3” ClearBlack OLED display with a flat glass screen when compared to the Lumia 920 and Lumia 800 who stood by a curved display screen. Running on a 1.5GHz dual-core Qualcomm Snapdragon S4 processor, this latest offering from Nokia supports 8GB as its internal memory with a microSD slot for external memory options. Sporting an 8 MP camera at the rear with Carl Zeiss Tessar lens, the Lumia 820 packs a punch with its interesting camera features (also supports video-calling via its front camera) and ability to click some neat shots with auto-focus enabled and a dual-LED flash. Ably suited for an uninterrupted mobile experience, the Nokia Lumia 820 comes along with a removable 1650mAh battery while also supporting wireless charging and 8 hours of talk time (3G). 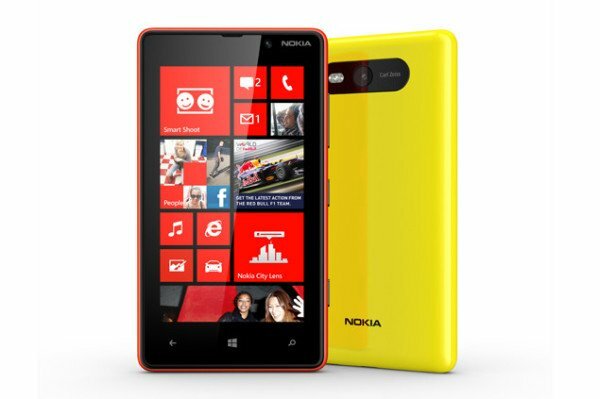 Available in yellow, red, blue, purple, white, grey and black avatars, the Lumia 820 looks sleek and adorable for a new generation smartphone. It fits perfectly into Nokia’s mid-range device list and will find many buyers thanks to its innovative design and interesting usability options. No exact details about its availability or pricing were revealed but Nokia CEO Stephen Elop did point out the possibility of its release in the last quarter of 2012. 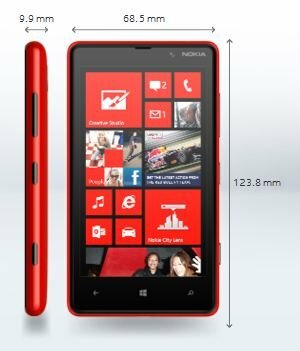 Download the Nokia Lumia 820 PDF data sheet here and visit the official page for more info. Check out Nokia Lumia 920 vs Lumia 820 Windows Phone 8 Comparison. Also check out comparison chart of iPhone 5 vs HTC Windows Phone 8X vs Nokia Lumia 920 vs Samsung Galaxy S III. Someone at Nokia does not like Green sadly.